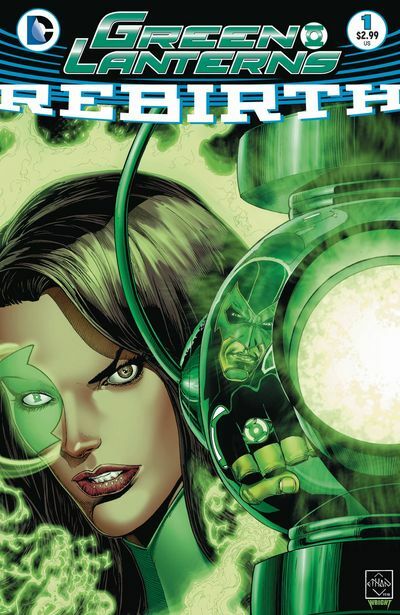 Green Lanterns #9- One Ring To Rule Them All? Green Lanterns #9 revisits a character we first saw in Geoff Johns’ Green Lantern run, Frank Laminski. In Green Lantern #30, Laminski was piloting a craft called the Flaming Spear when he lost control and had to be rescued by Hal Jordan’s Green Lantern. Writer Sam Humphries takes us back to Frank Laminski’s childhood and shows us the events that make a meek middle child into a borderline sociopath. Always overlooked by his rocket scientist parents, his teachers, coaches, and peers, Laminski continually strives to be noticed, to be special. The day he almost dies in the Flaming Spear, Laminski realizes that he set his sights too low. 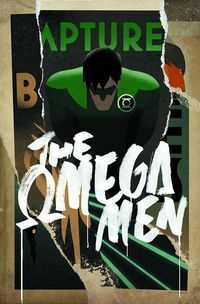 He becomes obsessed with obtaining a Power Ring and becoming the next Green Lantern. His life becomes a mess of insane risks, moonlighting as a vigilante Lantern, trying desperately to be noticed by the Ring and to be chosen. When he ultimately finds himself weighed, measured, and found wanting by the Ring of Power, Laminski is at the end of his rope. In the lowest point of his despair, he discovers there’s another Ring. Anyone who goes to the trouble of obtaining the Phantom Ring can wield it. Artist Robson Rocha does an amazing job showing depth of emotion in this chapter. He explores an intense range of expression on Laminski’s face, from anguish to elation. The character’s body language and ambulation tell us just as much about Frank’s mindset and mental health as his facial expressions. Green Lanterns #9 is a perfect place to get started on Green Lanterns Rebirth. Chapter 9 kicks off a new story arc (The Phantom Ring, part one), gives a character study on the next Earth adversary, and a brief but informative narrative exposition on the history of the Lanterns on Earth. This is one of those rare issues that invite new readers along for the ride while providing all the elements regular readers are looking for in their favorite title. Check out the Green Lanterns series. 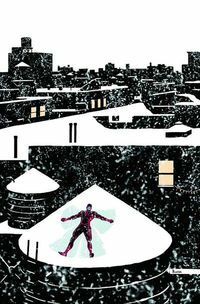 This story is told entirely from the perspective of pre-New 52 Wally West, the third Flash. Wally has been trapped within the Speed Force since the time rupture that occurred when Barry Allen travelled back in time to save his mother from being murdered, inadvertently causing the Flashpoint event that gave birth to the New 52. In order for West to return to Earth, he needs to make an emotional connection with someone who remembers that he existed. He has to convince one of his old friends that there is a force at work, more powerful than Darkseid, that has robbed them all of 10 years and has rewritten reality. If West fails to make a connection and establish an emotional anchor, he will be absorbed by the Speed Force and become part of the energy that empowers future speedsters. Every attempt he makes to cross dimensional boundaries drains West physically and weakens his spirit. In the interest of spoiler free review, all I’ll say about the final reveal of the issue is that it’s a biggie, guaranteed to generate heat. I was very impressed that Johns made no apologies for the New 52. 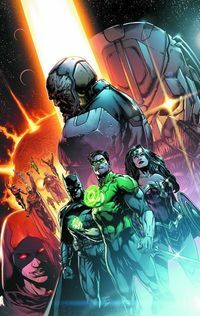 Instead, he took an opportunity to reconnect with the history and legacy of the DC universe, while acknowledging within the story plot that something has been very wrong and needs to be corrected. He’s provided us with all the setup required to get back to an era of hope and optimism that used to define the DC Universe. 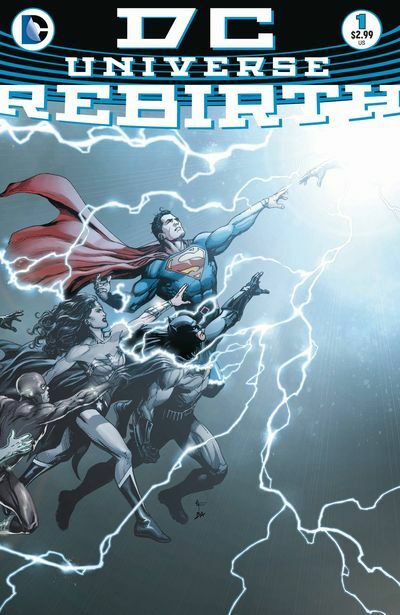 DC Universe Rebirth #1, released May 25, 2016, writer: Geoff Johns, artists: Gary Frank, Ethan Van Sciver, Ivan Reis, Phil Jimenez, ink: Joe Prado, Matt Santorelli, color: HI-FI, Brad Anderson, Gabe Eltaeb, letters: Nick J. Napolitano. This is a big week. We have 2 Rebirth titles, Civil War starts up again, and Bebop & Rocksteady get their own adventure for New Comic Book Day. As always these are only a few of this week’s new releases. Be sure to comment or share our post on Facebook or Twitter if you like our articles! The long awaited Marvel event is here! Written beautifully by Brian Michael Bendis and exceptional art from David Marquez, Civil War II is off to a great start! Superman is dead. Long live Superman! After several years of trials and tribulations, the final arc of Superman’s New 52 story arc culminated in Clark making the ultimate sacrifice to save the people of Earth. The Pre-Flashpoint Superman had come through, and is wearing the solar suit he wore after his death at the hands of Doomsday, in ‘the Death of Superman’ and a beard (which I rather hoped that he would keep). Superman knows a thing or two about sacrifice, and this new Rebirth comes directly with the knowledge and respect of honoring that cost. The Superman of the New 52 is gone, but the Superman we knew before is back and ready to carry on in the tradition of arguably the greatest superhero alive. 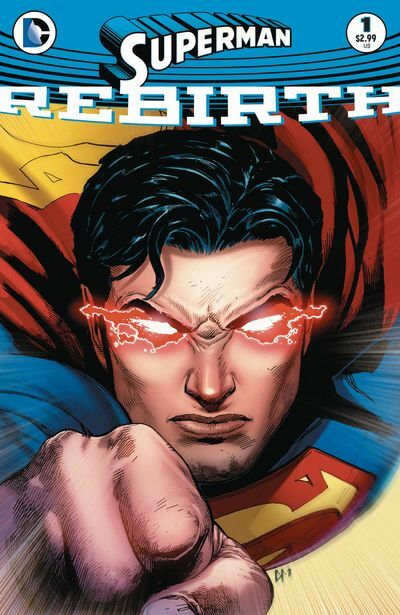 The Rebirth titles that I have read so far have me ready to dive deeply back in to the DC Universe, and this issue really sets the stage for our Superman’s return. The art and story returned to me the vision of this hero that I had when his death rocked the nation. This is certainly a title that I will be proud to continue, and my hope has be inspired once again by the Kryptonian I’ve known since childhood. A fun end to one of the better event books I’ve read. 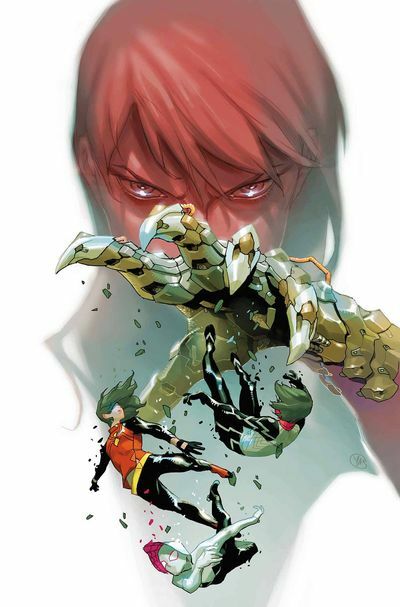 Spider-Women: Omega closes out a well-told adventure into an extra-sized issue, and while it didn’t do anything to greatly change the status quo of any of the characters involved, it did show why each of the main heroes are worth reading. 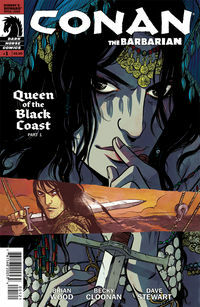 Dennis Hopeless and Nico Leon are the main creative team on the last issue for the finale, and do a good job of juggling characters and giving them each a moment to shine. It’s a Spider-Women book, and none of them are pushed to the side here. If you are interested in this title don’t start here though, luckily there is a collected trade coming out in July and can be found here: Spider-Women TPB. DC’s Green Lanterns Rebirth #1 reads like a checklist of proper ways to start a series. Ominous threat? Check. Compelling characters? Check. Intriguing premise? Check. Throw in some humor and Justice League cameos, then cover it in stellar artwork and you’ve got an awesome #1. Our story follows two rookie Green Lanterns: Simon Baz and Jessica Cruz. While Simon puts out a “tough-guy” persona, internally he’s filled with doubts about his place in America (where he’s been falsely accused of being a terrorist). Jessica is struggling to find her own place as well. With social anxiety in one hand and a Green Lantern ring in the other. Suddenly, their rings register a threat and are whisked off to battle an alien invader. 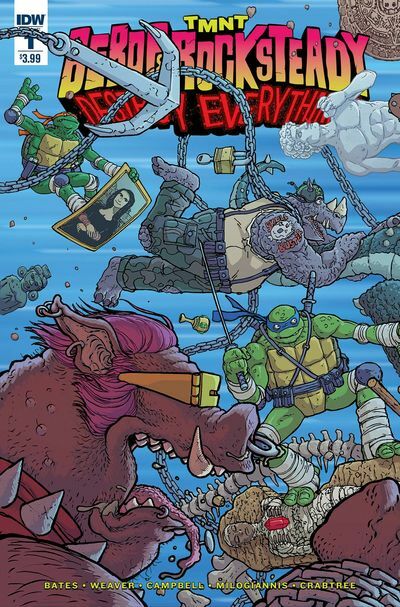 Ben Bates, Dustin Weaver and IDW Comics bring us the beginning of a story that will no doubt lead us through the ages with the Teenage Mutant Ninja Turtles in tow!! Wow! With so many fantastic product reviews to choose from last month, it was nearly impossible to narrow the field down for this month’s picks. Nevertheless, we’ve picked three of our favorites as part of our monthly Product Review Contest. Below, you’ll see who won from September’s Product Reviews. $25 TFAW gift certificates are on the way to the folks who posted them. I don’t give five stars on any review lightly. This is so far a brutal yet lovely series. I can’t wait to see how it gets wrapped up in issue 10. 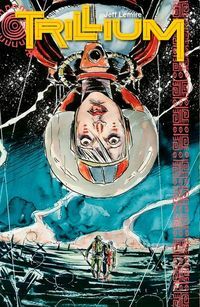 Please support this book and Vertigo since they seem to be telling amazing stories. Interesting first issue. It has two covers, you can start with either one, that track the story of the two main characters until they meet in the middle. The story told enough to make it an interesting first issue as well as leaving enough questions to be answered in later issues. Excited for the rest! Really fun book. the big fold out page with just about all villans was fun to look at to see how many I could name. A proposition is made to them all, will be interesting to see who does what. Only slight problem is I’m not sure how Lex Luthor could’ve gotten out unscathed from what happens to him in the begining of the story. but hey, comics. 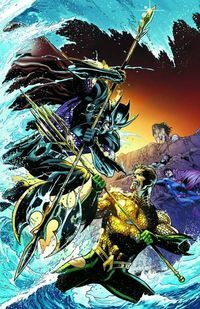 Throne of Atlantis–The Justice League Battles Aquaman’s Brother & the Atlanteans! This December, Geoff Johns pits the Justice League against Aquaman’s brother and the whole of Atlantis! The new Throne of Atlantis story begins in Justice League #15 and continues in the pages of Aquaman. As the team grows to trust each other, they’re going to deal with some of the things they don’t know about each other. This is the debut of Atlantis to the New 52 universe, and you can bet that the surface world will never be the same after this story. Throne of Atlantis marches us toward DC’s tentpole event of 2013, Trinity War, so don’t miss out on any of the action! Like we’ve done for all of DC’s special crossovers–Death of the Family, Rotworld, H’EL on Earth, Throne of Atlantis, Hawkman Wanted, Rise of the Third Army, and Before Watchmen–we’ve created a special page that will serve as your one-stop shop for all the Throne of Atlantis comics. Are you excited for this story? Are you digging Aquaman? Post your comments below! Amazing. This story has almost nothing to do with Commander Shepard, but Aria T’loak is a likeable anti-hero in this action packed comic. Cereberus begins to show its true colors as humanity’s worst attempt to invade the bastion of sin in the Terminus Systems. 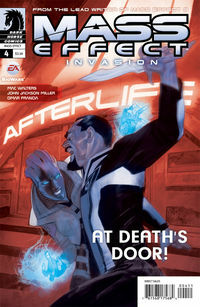 A “must read” for any Mass Effect fan. 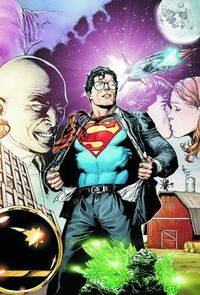 Geoff Johns is an immensely talented writer, and I can understand his desire to kinda/sorta want to put his own creative stamp on the Man of Steel in SUPERMAN: SECRET ORIGIN, but there’s a part of me who firmly believes this isn’t all he wanted to do with Clark Kent and his alter-ego, Kalel . . . with another Super-flick headed to the box office, methinks the suits probably saw the need for housekeeping, so why not hand the reins to a proven innovator like Johns? 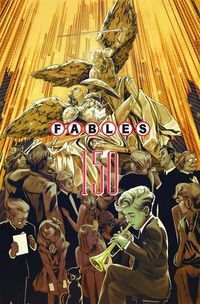 Knowing how the industry tends to re-visit already established characters once more after a major relaunch, perhaps the book is required reading in order to not feel inundated or lost with the monthlies that have followed since this six-issue miniseries came to be. 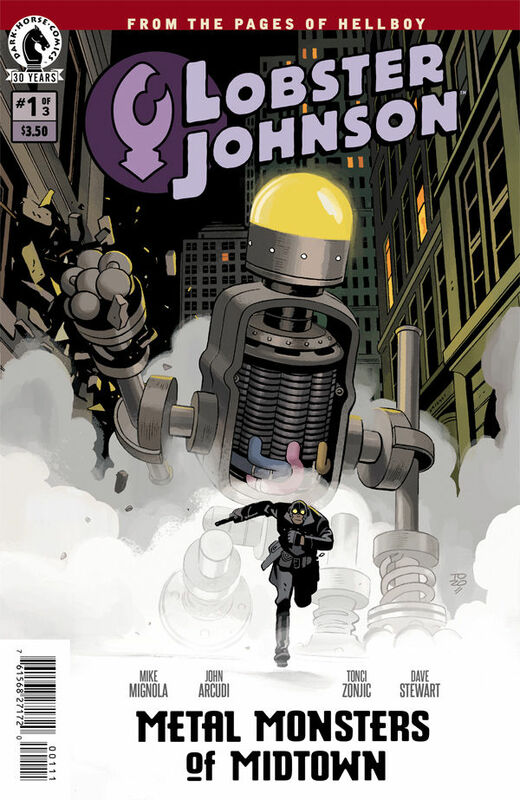 Still, what Johns accomplishes here isn’t so much adding any fresh perspective as it feels like cashing in. I didn’t walk away from those same sentiments when John Byrne did it, and I certainly didn’t walk away with that sense of disappointment when Jeph Loeb did it with the still stellar SUPERMAN FOR ALL SEASONS . . . couldn’t we have brought something “fresh” to the perspective of Superman instead of trampling out another corporate rehash of what everyone already knew? Recommended only for newbies to the Superman universe, as any serious long-term fan has already tackled this stuff elsewhere. Picked this up @ C2E2’12 and read it on my way back from Chicago. Loved it! Fantastic start to an amazing book series! Artwork is amazing! Can’t wait for the next book! Only 4 stars because it’s part 1 of a 6 (I believe, or 4) book series. 5 stars once I can read the entire story! Can’t wait for the live action movie too! Superman Earth One was a resounding success. 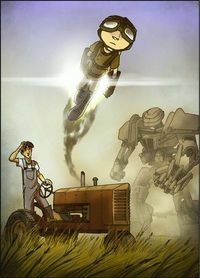 It lit up the sales charts, and successfully pulled off a reinterpretation of a beloved character. Earlier this month, we opened the Previews Catalog to see that Geoff Johns and Gary Frank are going to tell a brand-new story–this time for Batman. We’re excited to say that Batman Earth One is now available for pre-order at TFAW, and we encourage you to pick up a copy. 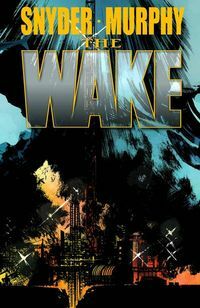 In this all-new take on the Batman mythos, Bruce Wayne is on the hunt for his parents’ killer. His target? The Mayor of Gotham City! 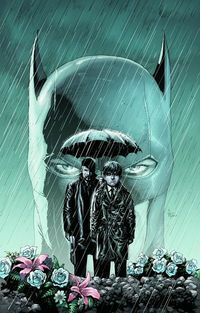 Batman Earth One sheds new light into Bruce Wayne’s transformation into Batman and his first year as The Dark Knight. This one’s sure to be a winner. Are you excited for the Johns/Frank collaboration on Batman Earth One? What did you think of Superman Earth One? Let us know below. Watch Video Reviews of This Week’s Comics! Are you ready for this week’s comic book reviews? We take a look at Conan the Barbarian #1, Green Lantern #6, Sacrifice #3, and the New Avengers Vol. 2 TPB, and we had some pretty strong reactions! Still undecided? Take a look at our previews for Conan the Barbarian #1 and Green Lantern #6. Check out the video, below. SPOILER ALERT! We try not to go into too much detail in our reviews, but a few mild spoilers might slip through the cracks! 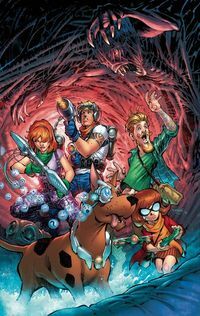 What did you think about this week’s comics? What should we review next week? Post your comments below! Check out the video, below. MILD SPOILER ALERT! We’ll avoid any big spoilers, but we will give out a few details as we go. So did these comics and items make the cut? Listen to our opinions and then post your own below. What did you think? What should we review next week? Post your comments below! 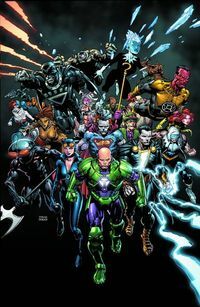 This world-shaking event kicks off with Justice League #1, which teams up Geoff Johns and Jim Lee for the first time. 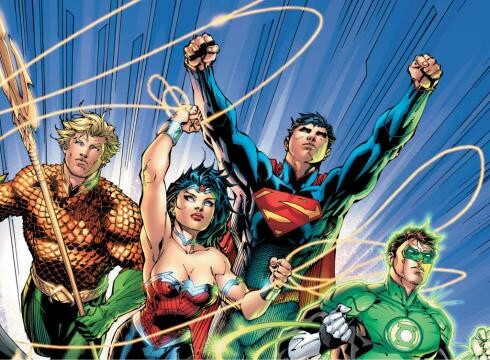 Starting this summer, the publisher will re-number its entire DC Universe of titles, revamping famous characters such as Batman, Superman, Wonder Woman and others from its 76-year history for a more modern and diverse 21st century. In September, more than 50 more first issues will debut, introducing readers to stories that are grounded in each character’s specific legend but also reflect today’s real-world themes and events. Lee spearheaded the redesign of more than 50 costumes to make characters more identifiable and accessible to comic fans new and old. 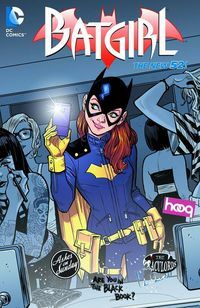 In an even more important move in the competitive comics industry, DC is making issues of all the renumbered titles available digitally via apps and a DC website the same day they arrive in comic shops. 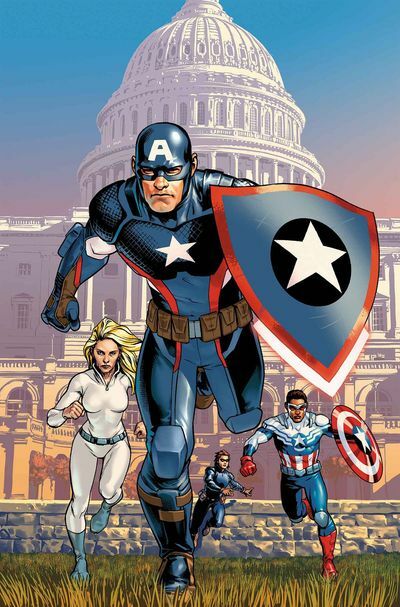 It marks the first time a major comics publisher has done so with its popular superhero titles. The company has come in second to Marvel every year since 2002 in market share, according to Diamond Comic Distributors. 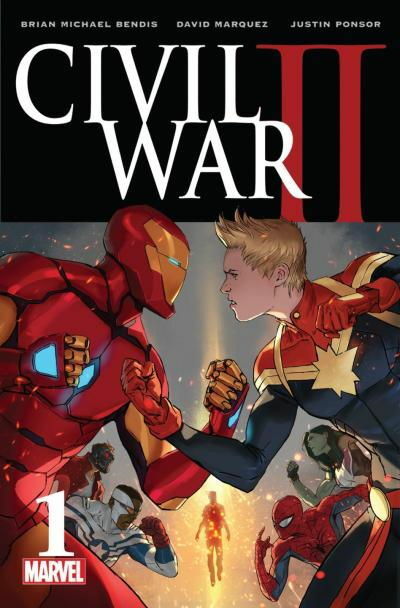 While the two companies are making millions off movie adaptations of their comic books, print sales for both have dropped in recent years, as new technology gives readers many more options. He says what makes this plan so ambitious is that it’s not just about changes in characters or costumes but setting the stage for how comic books will be consumed in the future. What do you think of this new development? Does it signal a new and vigorous chapter for DC Comics, or will this turn out to be a larger-scale version of Marvel’s Heroes Reborn (which also featured the talents of Lee), which was quickly dropped?